Get the Funk Out! : TODAY 5/24/18 - Jennifer Dulski, Head of Facebook Groups and Community, called in to our KUCI studios to talk about how to start movements that matter! TODAY 5/24/18 - Jennifer Dulski, Head of Facebook Groups and Community, called in to our KUCI studios to talk about how to start movements that matter! LISTEN to today's conversation with Facebook's Head of Groups and Community, Jennifer Dulski! When Mark Zuckerberg changed the mission of Facebook this summer to be focused on community, he hired Jennifer Dulski to lead Groups, at the center of their new strategy, and used by more than one billion people to build meaningful communities around the world. With a career as a tech executive at Yahoo! and Google, a startup founder and CEO, and a social change leader as president of Change.org, Dulski is now combining her own experience with stories of other inspiring leaders to show how we all have the power to start movements that matter. In her new book, PURPOSEFUL, she walks through the steps to go from idea to impact and shares specific tips and stories from real movement starters -- from students to retirees -- whose movements have created everything from new laws to new companies. Movements and social change: From the Women’s March to the #MeToo movement to the recent resurgence in the fight for gun control in the aftermath of the Parkland shooting, people are rallying others around common purpose to achieve their goals. 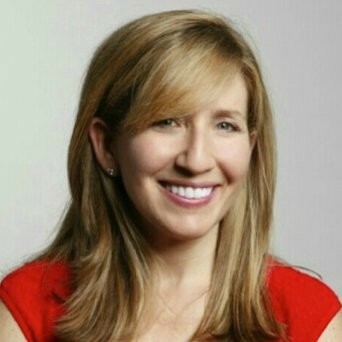 Women in leadership: Jennifer has long been a leading woman in tech, she led one of the six business units at Yahoo!, she co-founded and served as CEO at The Dealmap, a location-based deals service, which she sold to Google in 2011, making her the first female entrepreneur to sell a company to Google. Over 75% of the individuals featured in the book are women, including: Amanda Nguyen, the founder and president of Rise, a national civil rights nonprofit dedicated to fighting for the rights of sexual assault victims; and Kara Goldin, founder of Hint Water. Facebook movements taken offline: Surviving Hijab is a community for women to support each other around the decision to wear the hijab. The group was initially just for friends. But just two weeks after creator Manal Rostom started it, there were 40,000 members in the group and it has now grown to nearly 500,000. The group's members encourage each other to be active and proud of their hijab. The group has influenced Nike to create its first Pro Hijab, which TIME recently named as one of the best inventions of 2017.
Business practices: The most effective leaders are those that see themselves as movement starters, not only activists, but also entrepreneurs and business people. Jennifer shares tips for leaders in business on how to respond to pressure from changemakers -- whether it be your consumers or public sentiment. In a time when our world needs change more than ever, Dulski shows how each of us can learn the leadership skills necessary to rally people around common propose, whether we are activists or entrepreneurs. Jennifer Dulski is the head of Facebook Groups and Community. She also has more than 15 years' experience in successful startups and big-brand internet companies, including Yahoo! and The Dealmap, which was acquired by Google in 2011, and was most recently president and COO of Change.org. Dulski writes about leadership, management and entrepreneurship for LinkedIn Influencers, Fortune, Huffington Post and other media outlets.